After their father's death, Harry, Frank, and Pierce Fukuhara - all born and raised in the Pacific Northwest - moved to Hiroshima, their mother's ancestral home. Eager to go back to his own land - America - Harry returned in the late 1930s. Then came Pearl Harbor. Despite being sent to an internment camp, Harry dutifully volunteered to serve his country. Back in Hiroshima, his brothers, Frank and Pierce, became soldiers in the Japanese Imperial Army. A sneak attack by an enemy power leaves thousands of Americans dead. A minority group in America is harassed for its ties to a foreign country. A worldwide conflict tests our resolve in combat abroad and our commitment to justice, equality, and liberty at home. Within months after Pearl Harbor, 110,000 Japanese Americans were forcibly "evacuated" from the West Coast, losing their jobs, their property, and their homes. This is an exceptional book! Even before Congress declared war on Japan the day after Pearl Harbor, the implications for people of Japanese ancestry living in the United States had begun. On December 7, several hundred first-generation Japanese immigrants were arrested. In the months that followed, the scope of suspicion would expand. 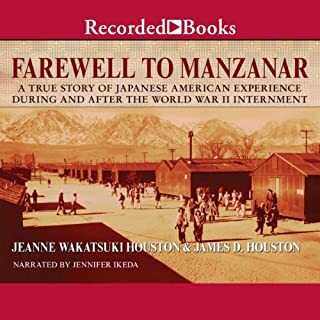 By the time the war ended, the period of internment of Japanese immigrants and citizens, lasting from 1941-1945, was considered one of the most unfortunate episodes of American history. On a sunny day in Berkeley, California, in 1942, a woman sees a sign in a post office window, returns to her house, and matter-of-factly begins to pack her family's possessions. Like thousands of other Japanese Americans, they have been reclassified virtually overnight as enemy aliens, and they are about to be uprooted from their home and sent to a dusty internment camp in the Utah desert. Kimi’s Obaachan, her grandmother, had always been a silent presence throughout her youth. Sipping tea by the fire, preparing sushi for the family, or indulgently listening to Ojichan’s (grandfather’s) stories for the thousandth time, Obaachan was a missing link to Kimi’s Japanese heritage, something she had had a mixed relationship with all her life. Growing up in rural Pennsylvania, all Kimi ever wanted to do was fit in, spurning traditional Japanese cuisine and her grandfather’s attempts to teach her the language. 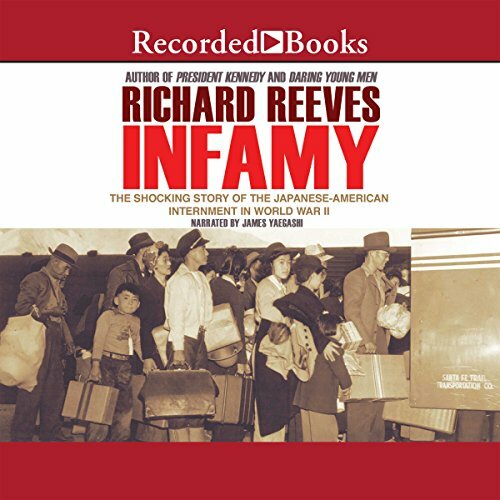 Best-selling author Richard Reeves provides an authoritative account of the internment of more than 120,000 Japanese-Americans and Japanese aliens during World War II. In Infamy, the story of this appalling chapter in American history is told more powerfully than ever before. Acclaimed historian Richard Reeves has interviewed survivors, read numerous private letters and memoirs, and combed through archives to deliver a sweeping narrative of this atrocity. Men we usually consider heroes - FDR, Earl Warren, Edward R. Murrow - were in this case villains, but we also learn of many Americans who took great risks to defend the rights of the internees. Most especially, we hear the poignant stories of those who spent years in "war relocation camps", many of whom suffered this terrible injustice with remarkable grace. It is important to understand the excesses which follow attacks. I was reminded that the 9/11 attack on the U.S. led to passage of the Patriot Act, not one of the finest moments in U.S. history just as the internment, of Japanese is a blot on our history. What was one of the most memorable moments of Infamy? The entire story is fascinating. Reeves personalized this lingering national embarrassment, taking it from the abstract and making and making it real. What didn’t you like about James Yaegashi’s performance? By telling the story through the those who were imprisoned, Reeves puts the reader in their shoes. It is hard to imagine the level of hatred for the Japanese, but then again, the antI -Muslim sentiment in this country since 9/11 was unimaginable until it happened. Do you think Infamy needs a follow-up book? Why or why not? A more articulate narrator would have made this a better listening experience. He pronounced "February" and "secretary" as if the first 'r' was missing. What was most disappointing about Richard Reeves’s story? There was no real flow to the book. The book proceeded somewhat chronologically, but Reeves jumped about from experience to experience. The book flowed as if he had not quite organized his notes. What character would you cut from Infamy? There were too many to keep track of. Cutting one would have made no difference. On the other hand, a more detailed following of just a few characters or a few families may have caused the book to flow better. I'll avoid this narrator in the future. Great book. Performance not so much. What a wonderful voice James Yaegashi has. This seems to be my common complaint in most books set in or about California. Pronounce the names correctly please. Tanforan wasn't pronounced correctly even once but it was pronounced incorrectly several different ways. If you are a local it's San Peeeedro. It's not San Paydro and so on an so forth. I grew up in San Pedro so I really know how it's pronounced. 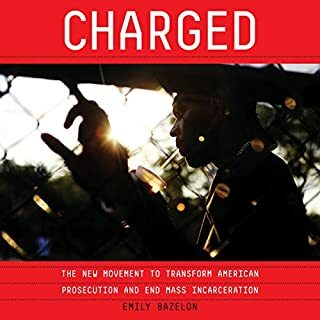 The story is spot on and although I have read most all that is available on our homegrown concentration camps I learned new facts. 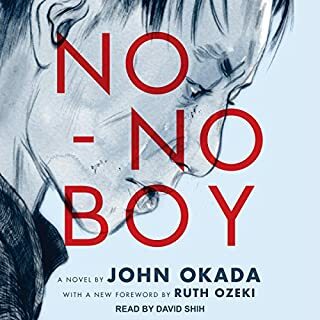 I listened to this book twice and enjoyed it as much the second time as I did the first. I highly recommend this book. it should be required reading for everyone. I am a Sansei, born and raised in Hawaii. 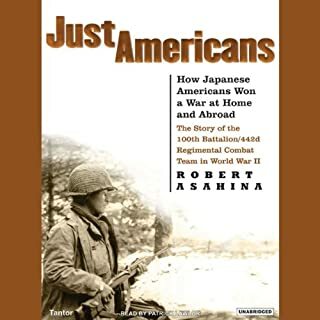 I have been gradually learning more and more about this abominable act forced upon the Japanese Americans. Information was difficult to come by and the pervasive silence by those affected made it seem like it wasn't too much of a hardship. Being from the Islands I knew a lot about the 442nd Inf. and the 100th Batallion, but the translocation was still a mystery. Having visited the Tule Lake site and seeing several museum shows about the Camps, I thought that I knew all there was to know. But this book and the documentary "The Legacy of Heart Mountain" really illuminates what happened and the enormous effect it had on these people's lives. 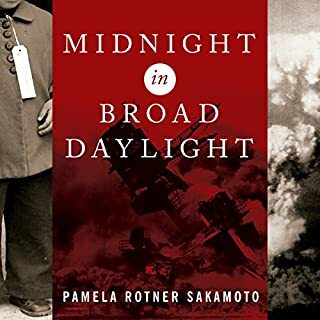 This is a great book to learn more about the Japanese-Americans Incarceration, and America's democracy dark time. 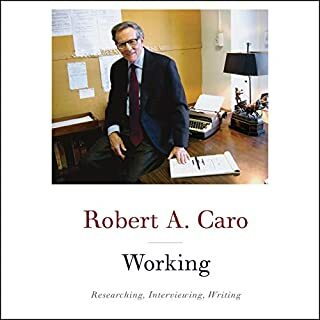 It is not bringing something new for people familiar with the subject, but it is still a very well written book.